St. Paddy's Day crept up on me this year. I didn't have any Irish recipes planned for the day. But the more I went about my chores for the day, the more it bugged me that I wasn't doing anything special. 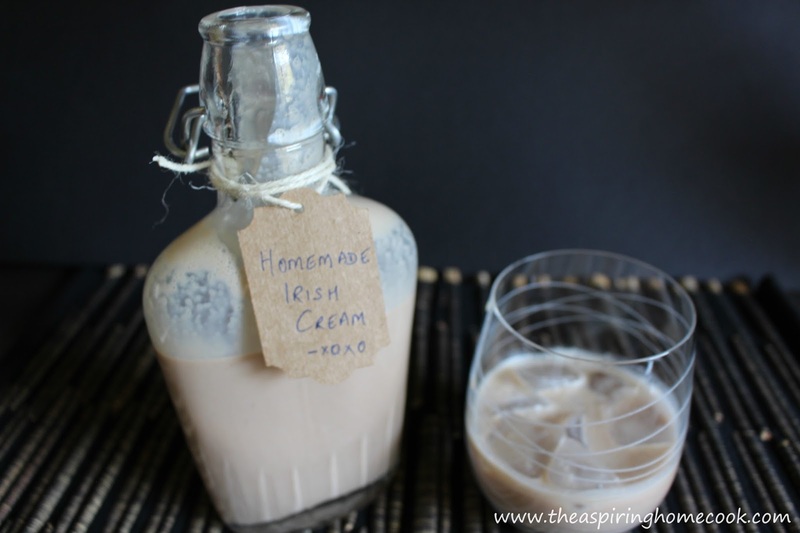 I had made Irish Cream at home before many years ago. I'd whipped up a batch for my Mother's birthday and it went down a real treat. We had none leftover. 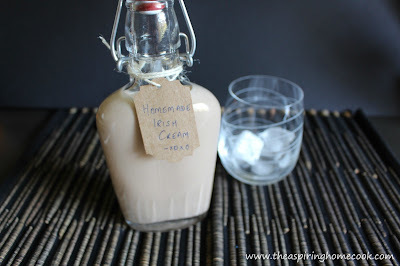 So I thought the least I could do, was whip up a Batch of Irish cream for the day. It is amazing how this beautiful liqueur comes together in minutes. You just need a few simple ingredients. Now you can definitely use an Irish Whiskey, if you have some on hand and it would be a more authentically Irish 'Irish Cream'. But in a pinch, any whiskey will do. I even made my own chocolate syrup for this recipe because I never have that stuff in the house. It turned out really well. Even my husband, the tequila loving man that he is, was impressed. Since this recipe contains cream, the bottle needs to be refrigerated and should keep for 2 months, not that it will stick around that long. But you might want to include this information on your tag if you're gifting this to someone. So what are you waiting for? Go make yourself a batch. In a large bowl stir together the cream and the whiskey. Add the coffee granules / brewed coffee and stir together till the granules have dissolved. Now add the condensed milk and stir well. Lastly add the chocolate syrup and stir well to make sure everything has mixed well. 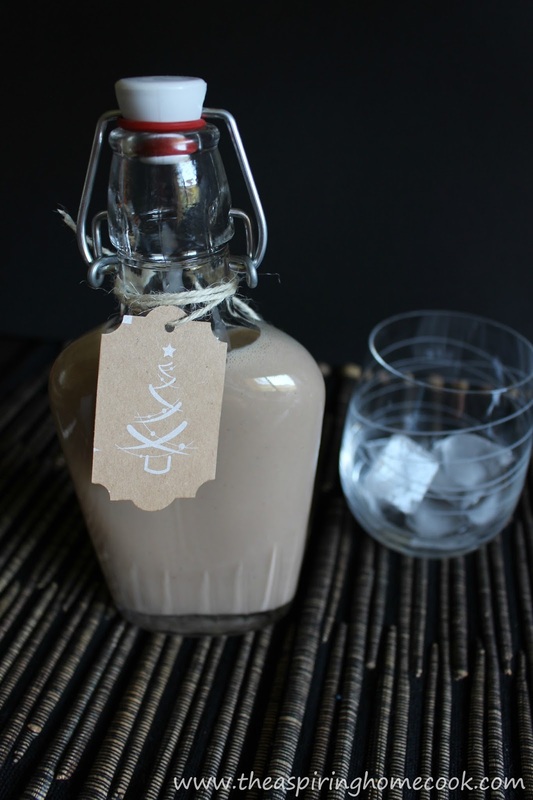 Enjoy on the rocks or use in any recipe that calls for Irish Cream. In a small saucepan, place the water and sugar on medium high heat and whisk till the sugar is dissolved. Take the saucepan off the heat. Add the vanilla and stir through. Leave it to cool before storing. Pin now to your favorite boards!! !